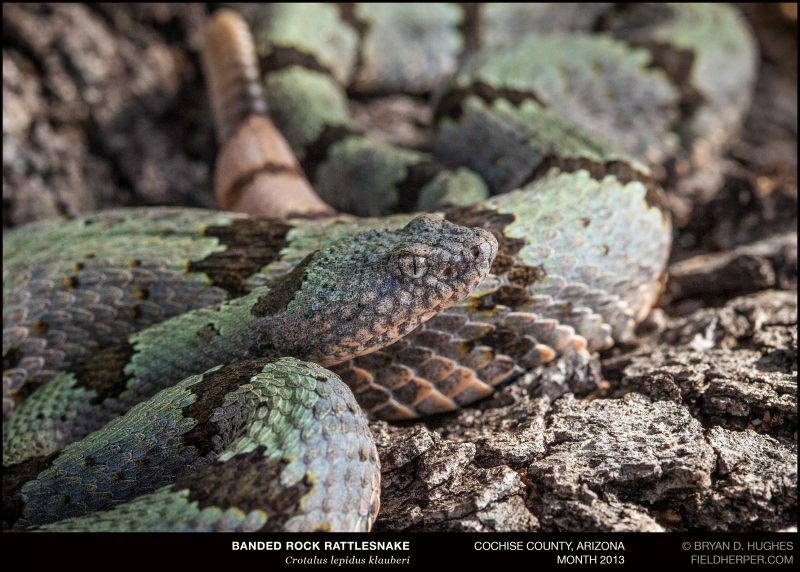 One of the harder things to actually get on camera is the metallic green that shows up on many male Banded Rock Rattlesnakes in S.E. Arizona. It doesn’t quite seem to look right on camera, so when one does look like it should, it’s amazing. This one is one of those instances; a mature male found near the Huachuca mountains. This entry was posted on Friday, March 24th, 2017 at 7:38 am	and is filed under Photography, Snakes. You can follow any responses to this entry through the RSS 2.0 feed. You can leave a response, or trackback from your own site.